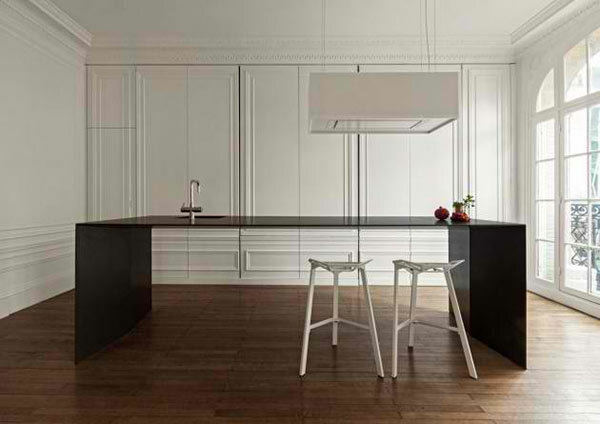 It is a trend these days that kitchen islands are merged to other areas of the house like the dining and living areas. This is true even to homes with small floor area. With that, it would be nice to have a kitchen island that is very slim and a space that will not look like a kitchen unless everything is revealed. The i29 interior architects designed a kitchen island that will be the answer to every homeowner’s dream for a sleek and slim design of an island. It was reduced to minimum with a top surface which is a few centimeters thick. But it is complete with water, cooking and electrical connections. 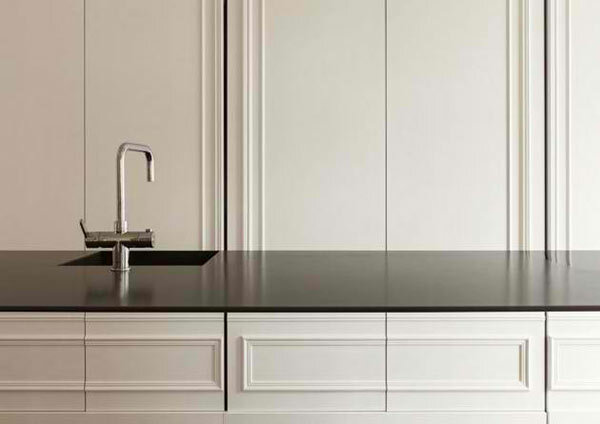 The invisible kitchen has sliding wall panels that will hide the storage space and also the kitchen appliances. So, when not in use, the kitchen seems to disappear unless you notice that faucet on the island. 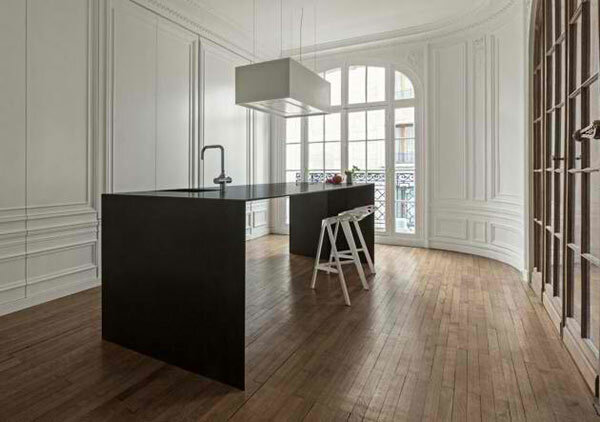 This apartment in Paris has an invisible kitchen. The existing profile of the walls was copied for the front panel of the cabinet to make them look as one. It is amazing that an island this thin can function like a normal kitchen island can. From washing to food preparation- everything can be done in here. But afterwards, the space looks like a silent area and you will not expect the secrets it is hiding. The slim design suits a contemporary and modern home. 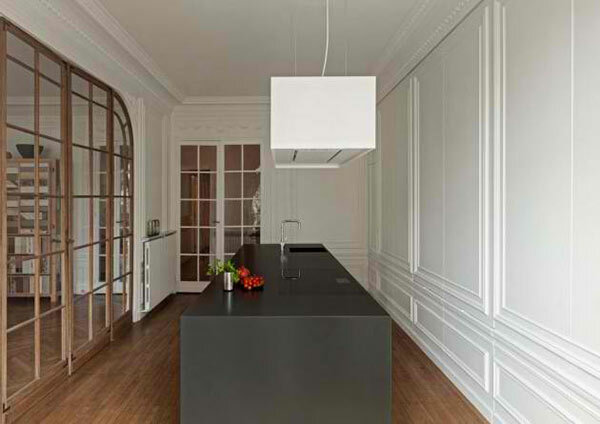 The walls look like ordinary wall panels but behind it is everything one needs for the kitchen. Look closely at the kitchen island and you will surely wonder how all the connections were put into place. 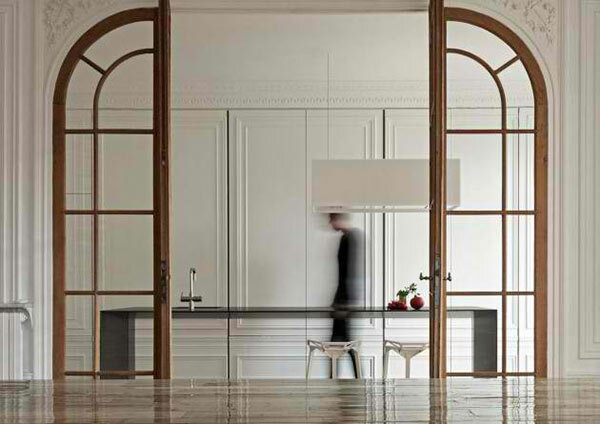 Indeed, with man’s creativity and intelligence, wonderful things are being invented just like this kitchen island by i29 interior architects. It is impressive that they were able to come up with a very slim kitchen island that can provide water, has electricity connections and can even be used for cooking. This design is no doubt brilliant!